Convicted Boston Marathon bomber Dzhokhar Tsarnaev has filed a motion for a new trial, despite personally admitting his guilt in court as he was formally sentenced to death for his role in the bombings and manhunt that left four people dead. The motion was filed Monday in U.S. District Court in Boston. "A new trial is required in the interests of justice and judgments notwithstanding the verdict are required as a matter of evidentiary insufficiency," the motion reads. Tsarnaev's lawyers said the motion was filed following the court's suggestion at a status conference, as a placeholder to address the court's concerns about ensuring compliance with time and preservation requirements. Necn legal analyst and Massachusetts School of Law Associate Dean Michael Coyne says it's not unusual that this initial filing does not give specific grounds for the request for a new trial. "I don't think they're suggesting there's newly discovered evidence, but they are suggesting that justice requires a new trial because of the insufficiency of the evidence as they see it with respect to the charges that the defendant was convicted of," Coyne said. The court had given Tsarnaev until Aug. 17 to submit any post-trial motions and supporting material. Additional filings are expected before that date. 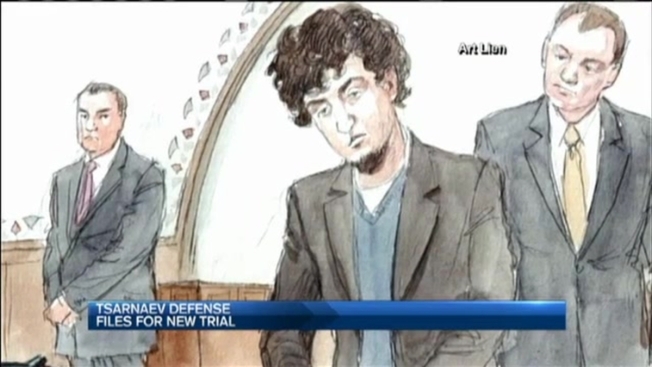 Tsarnaev was formally sentenced to death on June 24. In May, a federal jury condemned Tsarnaev to die for bombing the 2013 marathon with his brother, Tamerlan. Three people were killed and more than 260 were injured when the brothers detonated two pressure-cooker bombs near the finish line.